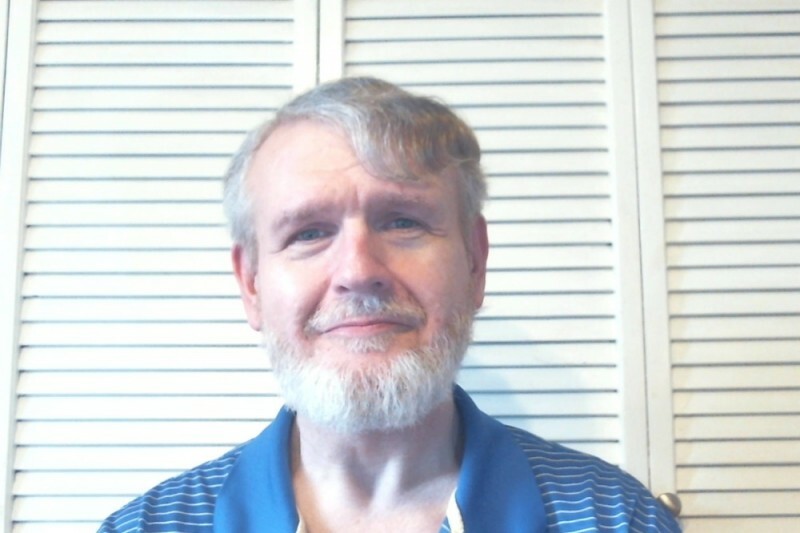 I am 56, disabled, and a veteran of the United States Air Force; I spent the last 10 years of my wife's life, the last 10 years of our 12 year marriage, taking care of her as she slowly died over the span of that decade. Our lives became a tight orbit around each other as things got worse. My wife died of complications of the cancer she had when she was 16, Hodgkin's Lymphoma. (My two youngest children are taken care of by my in-laws and they are their legal guardians; my oldest moved out of the house after his mother died). The treatment for Hodgkin's destroyed her lungs and heart and when she died last March, at 2:30 in the morning of the 19th, she was only 42. My life has fallen apart financially since then and my physical condition has been terrible for the past 10 years. I have fibromyalgia, a bad back injury, carpal tunnel syndrome, neuropathy in my feet and lower legs, and more. I am unable to work due to my physical conditions and the terrible depression that I am fighting against. Your kind help and donations led me to be able to leave the tiny box I was living in and move into an actual home! But bills are high and I am unable to work- physical issues and mental issues keep me disabled. Thank you all for your very kind donations! You all kept me from homelessness- this has been so awesome and I thank you all so much! I am still disabled and unable to work, however, and life is expensive... any help I can get is GREATLY appreciated! As much as I have tried to survive on my own, I am not yet able to. I am working on getting a home but until then, especially with the changes in Washington State Cannabis law, I cannot survive on my disability as of yet. I am so sorry that I must continue to ask for help. I want to thank everyone who has donated SO MUCH. It has helped me incredibly! I am VERY close to the shores of financial stability- SO CLOSE! Once I get there, get myself a home, I'll be set! Thank you all again so very much! My thanks again to everyone who has donated. It has helped me to no end and I am SO GRATEFUL to each person! Thank you all and I am SO sorry it took me this long to send my thanks to everyone this last month. I have been CRAZY busy! I feel like if this guy had a better PC and an editor to cut his videos in a modern way, he would thrive on YouTube. He seems to be an incredibly nice and interesting guy! Can anyone offer this man pro bono financial planning services? Or offer to be his investor? I got received a small settlement of 20K last year and am very grateful to my investor for putting it in a diversified stock portfolio where I've already increased my initial investment by 15% over 9 months. I'm terrible with money so I likely would have blown it without his guidance. Perhaps William could do similar with any money he has leftover after buying essentials? This way he'd be assured financial stability for years to come. Side note: I know right now is not the best time to invest given the market but in future. Is there any way that I can get ahold of Roeben? I'm interested in fund raising for him, but would like to be able to speak with him first. Thanks! He makes mention in his latest video that he is having trouble finding a rental property because of his foreclosure from when his wife passed away. He needs housing options, and he needs them fast because his in-laws will be moving soon. He currently lives in Shelton, Washington. So, if you know of any rental properties that go through private owners please let him know. Thanks to everyone for donating! I forgot to leave you my link. On go fund me it's " nice lady got hit by a truck" or 23b7nk24 God bless you and your family. I'm glad I found a friend in you, you're sweet, kind and have been through so much bad in life, you deserve a whole lot of good now - that is what I pray for you. This is for you to spend on anything you need!